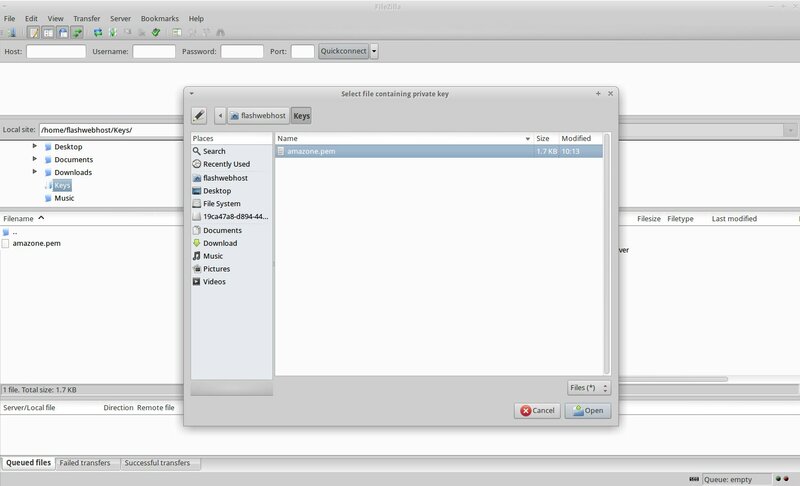 If you want to use FileZila to upload to or download data from a normal FTP server if you have the user and password, just put the information in the “Host”, “Username”, “Password” box and connect. However for Amazon instance, we use key-pair to log in instead of password for better safety. 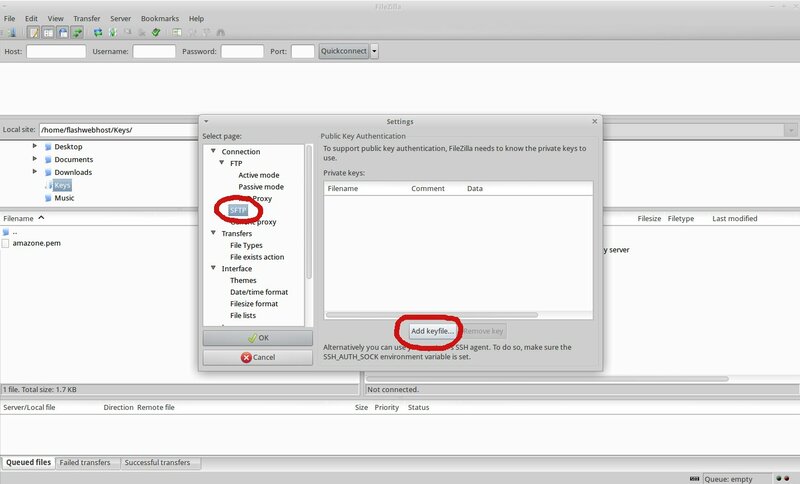 Here is how to connect to Amazon Instance using .pem file in FileZilla. A message box will appear asking your permission to convert the file into ppk format. Click Yes, then give the file a name and store it somewhere. If the new file is shown in the list of Keyfiles, then continue to the next step. If not, then click “Add keyfile…” and select the converted file. Then Open Site Manager and Add a new site. User: For Amazon Linux, the default user name is ec2-user. For RHEL5, the user name is often root but might be ec2-user. For Ubuntu, the user name is ubuntu. For SUSE Linux, the user name is root. Otherwise, check with your AMI provider. Leave “Password” as blank. Then click “Connect”. There will be a dialogue box to ask you about “Unknown host key”, just click “OK”. Now you have logged in the Amazon Instance. You can drag and drop to transfer the files between the remote machine and your local computer.